When you’re traveling on the open road and “roughing it”, as they say, life is reduced to the bare essentials – food, water, sleep, shelter…and an occasional bath. If you have these basic needs solved – you should be grateful. For me “boondocking” and camping over the last forty plus days required some sacrifice in the bathing department, like not bathing for days in a row. Finding ways to bathe, whether it be in a lake, pond, stream, pool, waterfall, shower, tub or even standing in the rain, required a willingness, at times, to tolerate some extremely cold water, like the times I jumped in Lake Erie and Lake Michigan just to expel the funk off my body. Sunday was my lucky day! Not only did I get to help Greg and Gene get their camper back on the road and then travel through the magnificent Big Horn National Forest but now I was going to have a bath in the hot springs of Thermopolis! 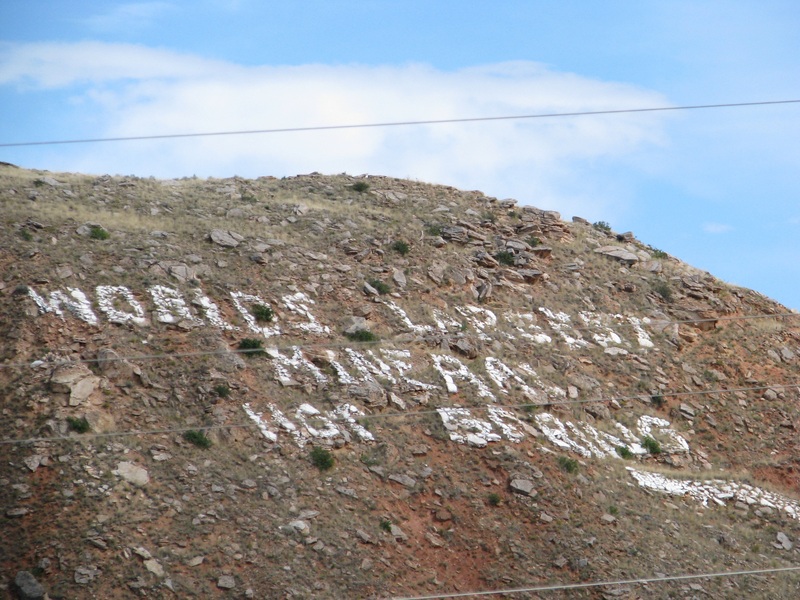 Thermopolis means “Hot City” in Greek. 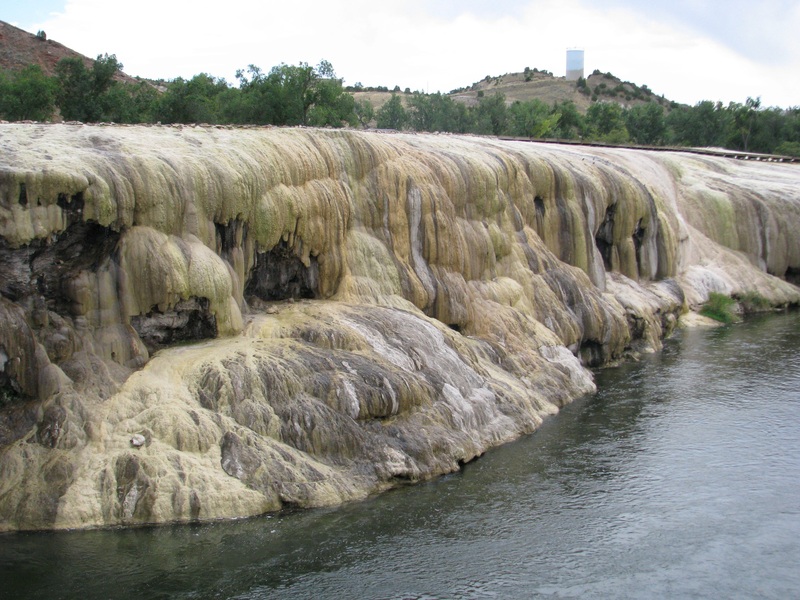 These mineral hot springs, the largest in the world, are located within Hot Springs State Park and are created by geothermic heating deep underground. I’d been to the hot mineral springs of Hot Springs, Arkansas a few years ago, back in President “Slick Willy” Clinton’s neck of the woods. There I paid a lot of money to enjoy one of the spas on Bathhouse Row, whereas here it’s provided free by the State of Wyoming! 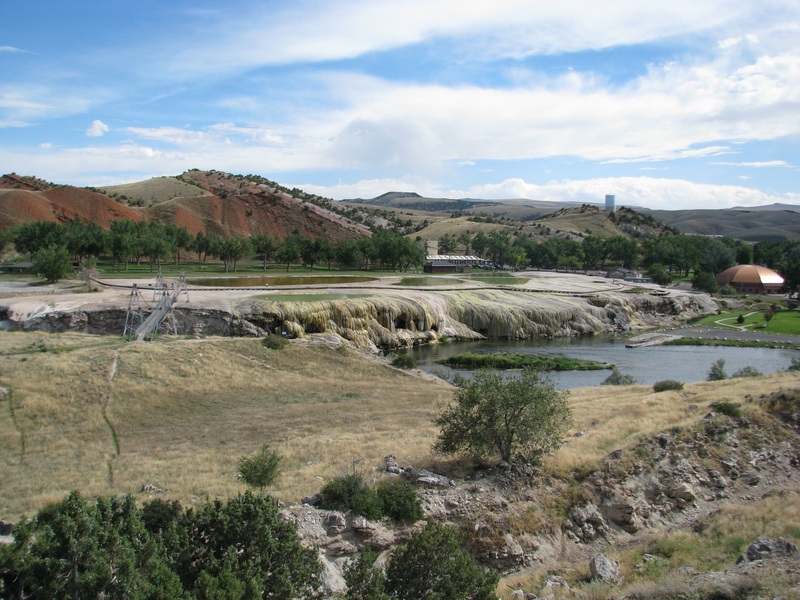 A free, twenty-minute, hot, mineral spring bath all provided by the taxpayers of Wyoming, which I later learned is free to the public because of an 1896 treaty signed with the Arapaho and Shoshone Indian tribes. Thank you! I showered before entering the pool to erase the first layer of grunge and stayed in the spa the alloted twenty-minute time limit, emerging fresh and relaxed. It was…heavenly! I am most grateful! 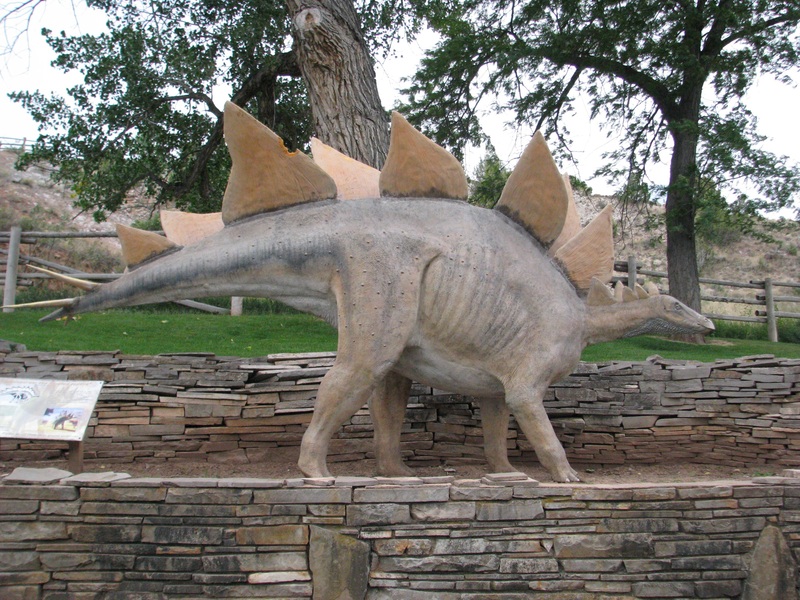 East Thermopolis is also the home of the Wyoming Dinosaur Center, which I missed. I hope you’re grateful for…?